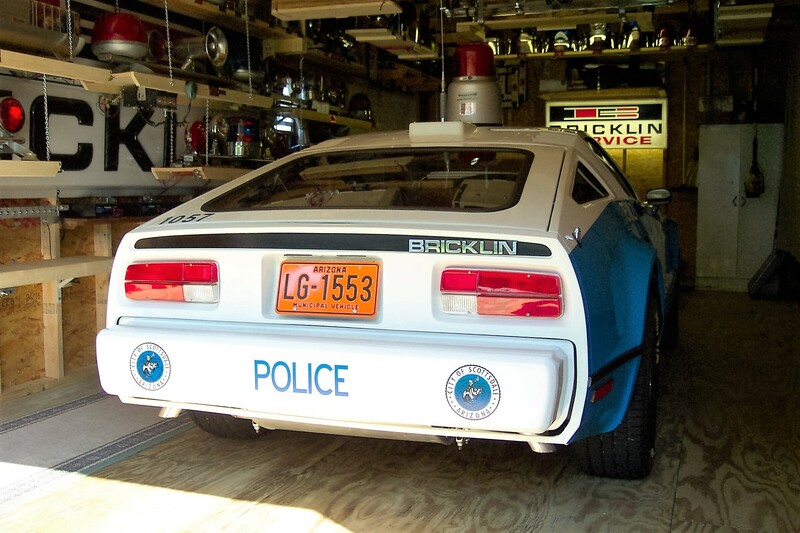 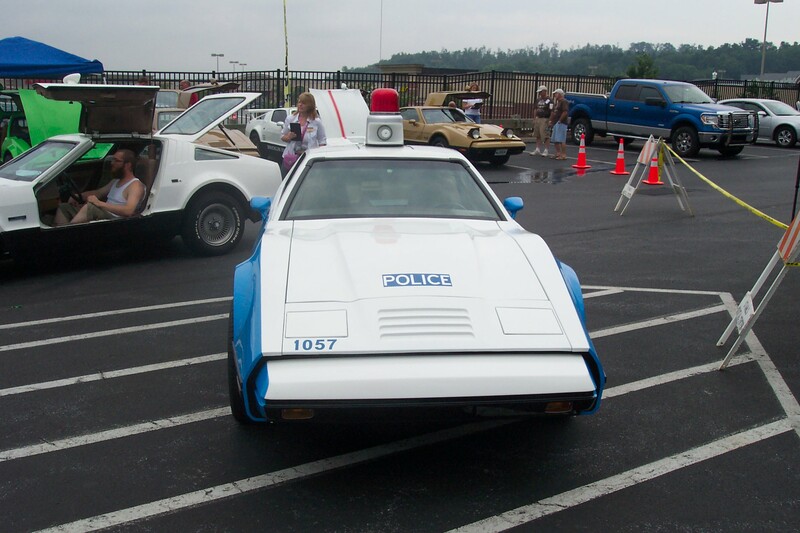 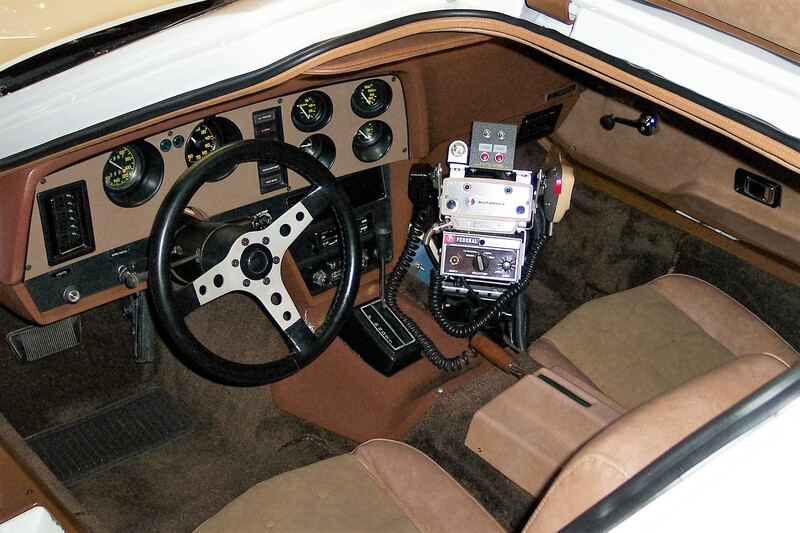 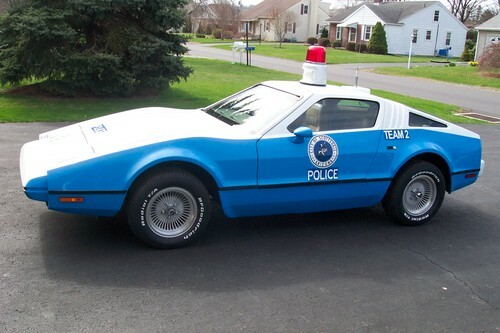 Restoration of SPD Bricklin VIN 588 is completed ! 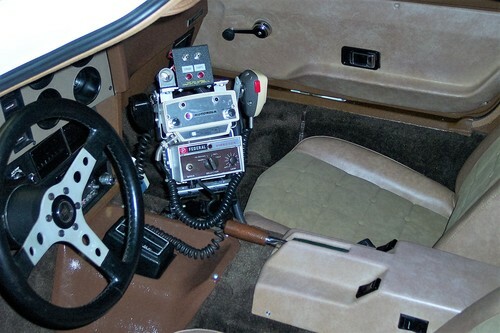 Above: Restored Bricklin VIN 588 left side view. Right: Restored VIN 588 front view. 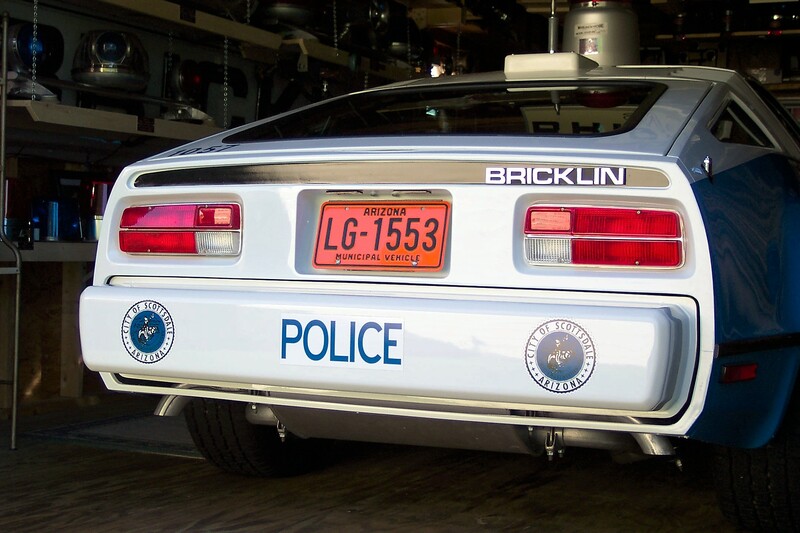 Left: Restored Bricklin VIN 588 left rear quarter view. 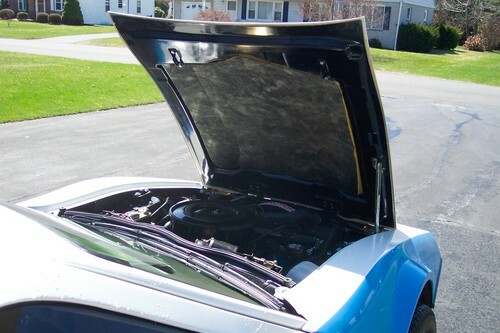 Right: Restored VIN 588 hood open. Left: Restored AMC 360 V8 / Engine compartment. Right: The venue for the unveiling of the restored SPD Bricklin VIN 588, was the Bricklin International meet, Hershey, PA, in July, 2015. VIN 588 is shown at the meet. 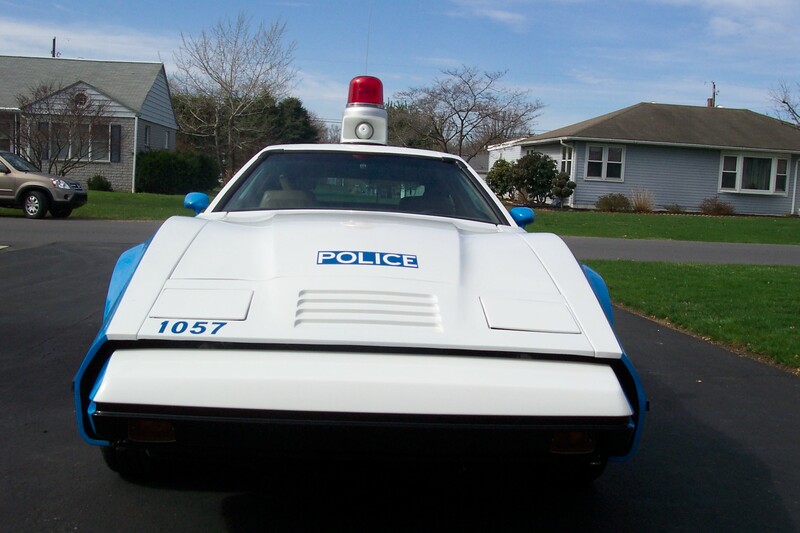 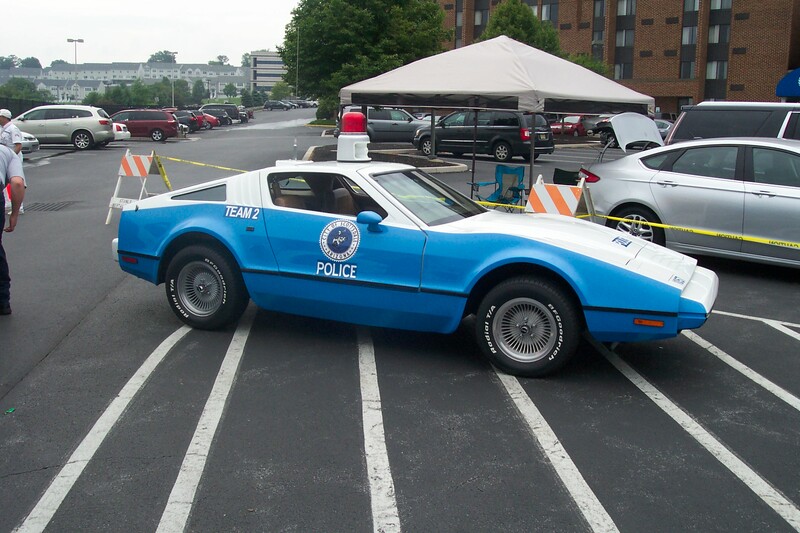 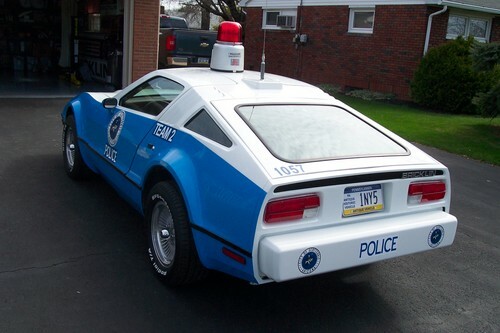 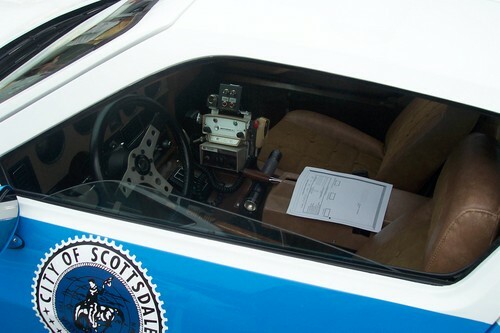 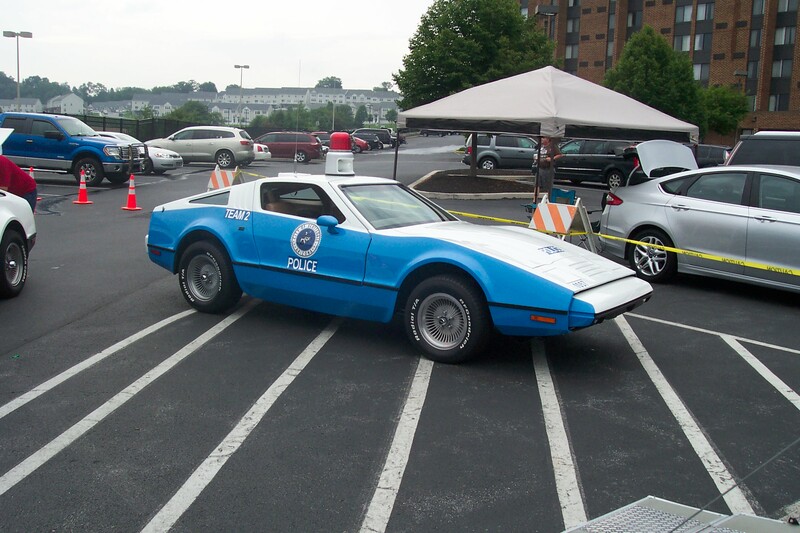 Left: VIN 588 front view, July 2015, Hershey, PA.
Left: Partial view of SPD insignia, circa mid 1970's, and partial interior view, VIN 588, Hershey, PA, July, 2015. 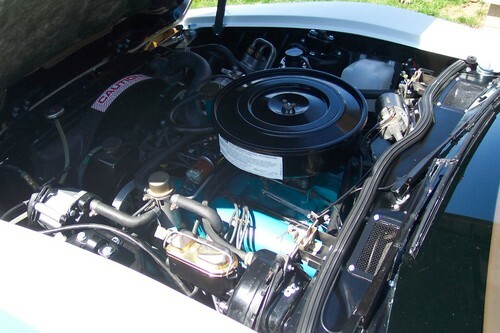 Right: VIN 588 was entered in the competition, in the "modified class", and took: Best of Show !